Nowhere was the linguistic diversity of the New World more extreme than in California, where an extraordinary variety of village-dwelling peoples spoke seventy-eight mutually unintelligible languages. This comprehensive illustrated handbook, a major synthesis of more than 150 years of documentation and study, reviews what we now know about California’s indigenous languages. Victor Golla outlines the basic structural features of more than two dozen language types, and cites all the major sources, both published and unpublished, for the documentation of these languages—from the earliest vocabularies collected by explorers and missionaries, to the data amassed during the twentieth-century by Alfred Kroeber and his colleagues, and to the extraordinary work of John P. Harrington and C. Hart Merriam. 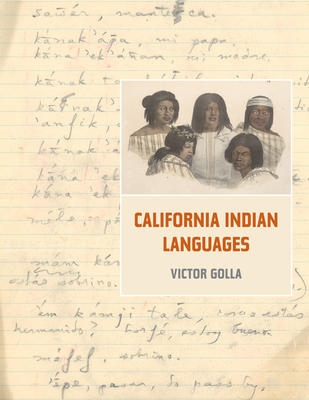 Golla also devotes chapters to the role of language in reconstructing prehistory, and to the intertwining of the language and culture in pre-contact California societies, making this work, the first of its kind, an essential reference on California’s remarkable Indian languages. Victor Golla, a leading expert on the native languages of California, is Professor of Anthropology at Humboldt State University. He is the editor of The Sapir-Kroeber Correspondnce: Letters Between Edward Sapir and Alfred Kroeber, 1905–1925 and of several volumes of The Collected Works of Edward Sapir.